Dorothy Draper (1889-1969), was America’s first female interior designer, and she turned the establishment on its ear with her outlandish use of color, texture and ornate fixtures. This forward-thinking woman was the Grand Dame of using bright, bold color and texture combinations in her decorating of socialite homes, hotels, offices and hospitals. Though to many people Draper’s work was a sensation, the legendary architect Frank Lloyd Wright called her “the inferior desecrator”. Despite Wright’s dislike for Draper’s style, her influence can still be seen in color and textural combinations throughout America and the world. Draper loved to use color in her decorating, departing from the dark color schemes of the usual Victorian-inspired decor. She was one of the first decorators to believe that vivid, beautiful colors helped people feel happier. She favored using such dramatic color combinations as green and red with coral, or black and white with bits of color thrown in for emphasis. It is said that she suggested the Howard Johnson’s orange and blue color scheme, which is famous even now. Draper also mixed different fabrics and textures to make a bold statement. She was the first to combine strong stripes with grand cabbage rose floral material. She loved oversized details, like huge mantels, ornate moldings, and lots of mirrors. One of her mottos was, “If it feels right, it’s right.” True to her words, her often theatrical combination of colors and props, such as a birdcage chandelier, somehow worked, leaving people with a larger-than-life feeling still loved today. 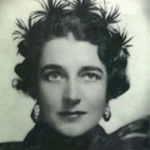 Dorothy Draper was famed for many decorating achievements, not limited to New York City’s Hampshire House, the dining area in the Metropolitan Museum of Art, and the lobby of the Carlyle. She also decorated the entire Greenbriar Hotel in West Virginia and the Camilla Restaurant in the Drake Hotel in Chicago. Even though Dorothy Draper designed and decorated more than fifty years ago, her influence can still be seen in interior design today. 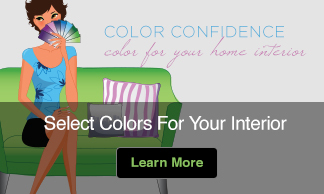 Modern decorators believe in her notion that color is mentally beneficial as well as fun. 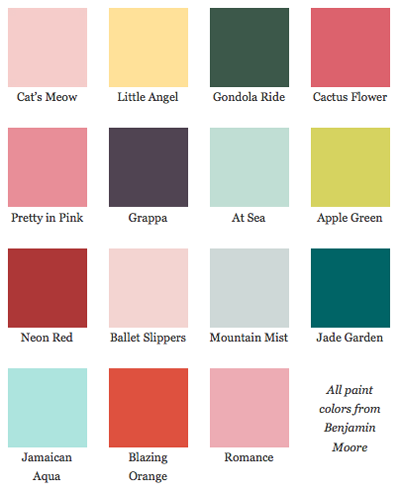 Benjamin Moore created a collection of colors reminiscent of Draper’s signature paint colors. The fifteen chosen capture her keen usage of color and self-assured sense of style. With fun, evocative names like Nightfall 1596, Apple Green 2026-40, Gondola Ride 602, or Jamaican Aqua 2048-60 it’s easy to see why a paint palette honoring Draper would be successful. Even furniture makers and decorators are copying and promoting the Draper Touch. Thomasville’s magazine, ‘Dream’, shows how to achieve a modern-day Draper sitting room. Teaming large-print cabbage rose upholstered furniture, bold paint schemes and over-scaled elements help to capture the unique flare for which Draper was famed. How do you apply these points? First, abandon pastel colors and neutrals. Head for bright, bold and vibrant colors. It will probably be something you’d never dream of putting on a wall. Draper loved intense colors on walls and floors, such as the turquoise lobby of the Hampshire House. She loved using live plant life and florals in her rooms, though silk plants will do if you lack a green thumb. Select big, bold, ornate accent pieces such as a baroque mirror. Textured carpets with gorgeous detail are important too. Though Draper liked boldness she didn’­t like clutter in a room, so get rid of the shelves full of knickknacks. Finally, you’­ll need to throw a slipcover with a huge floral print and details such as satin cording or fringe on the sofa and stoke a roaring fire in the fireplace. Then your room will look the way Dorothy Draper would have envisioned. 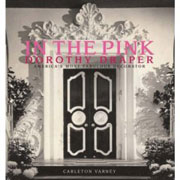 A recently released book about Dorothy Draper’s Signature Style but unfortunately most of the photos are in black and white since her work was done before the advent of color photography. What beautiful colours. I find it so intriguing that she made her impact almost 100 years ago but the colours she chose are so intriguing and relevant to today. Thanks for sharing! I agree, Jill. Her color combinations are timeless. I love this article – I am obsessed with Dorothy Draper! Thanks for sharing those Ben Moore colors – I was not aware they had developed that particular collection. 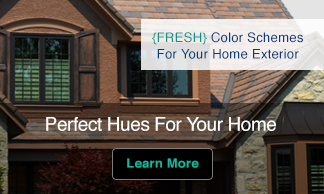 I really think we are beginning to see more of these kinds of colors trending – 2014 is looking like it will be a happy year for COLOR! I love Dorothy Draper, too. Benjamin Moore didn’t actually develop a special palette of her colors but put together a group from their existing colors that represented colors like those she used. I can’t remember what it was for but if you ask in the local store they might not won’t know what you are talking about. So interesting to learn about Dorothy Draper! Thanks, Kate! You’re welcome Margie. I’m glad you enjoyed the article.